The Chicagoland Trauma-Informed Congregation Network is an interfaith table that brings together faith-rooted organizations and others that are interested in using our collective wisdom to respond to the call to facilitate and deepen the role of faith communities in recognizing and creating “safe and brave spaces” that support the healing of trauma experienced by individuals and communities. The Network is not a direct service provider, but a vehicle for education, skills transfer and connection of the intersection of faith, trauma and restorative justice. Look at the menu bar on the left and you will see that we have summaries of each of our Community of Practice meetings. There’s lots of good information there, so be sure to check it out! There are many ways to get involved. You choose how you want to participate. Join our online NEXUS community. Join our NEXUS Forum to receive updates, find resources and reach out to others. Register and create a profile. This group meets monthly to map out what work we want to do and how we want to do it. All are welcome, no matter how much experience of “expertise” you have. 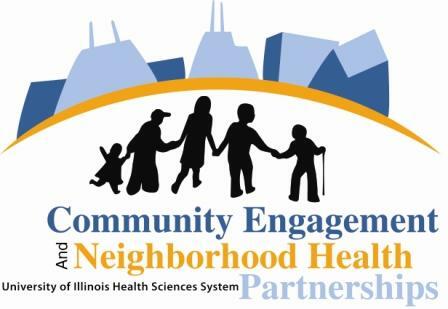 Contact Olga Wegehaupt if you’d like to be added to the planning team group list at 630-929-6108 or olga.wegehaupt@advocatehealth.com. Join the Restorative Justice Practices Group. Nehemiah Trinity Rising provides education about restorative justice practices, skills for using such practices, and helps organizations try out restorative justice practices in their own settings. Learn more about how our congregations can help foster resilience. Attend a workshop or educational program or come to a Community of Practive meeting. See our calendar of events here. Learn about the Five Healing Gestures that you can practice with children in your congregation and community. New research shows that witnessing traumatic events, like domestic violence, shootings, or even fighting, can impact the physical development of a child’s brain — potentially leading to lifelong health and social issues. But you can help reverse the effects. This site will teach you about the science of childhood trauma, and how five everyday gestures can make a world of difference. What we can do together as a community of faith to prevent trauma and restore hope. Contact Kirsten Peachey at kirsten.peachey@advocatehealth.com or 630-929-6017 to learn more.